Bake the popcorn shrimp according to package directions. While the shrimp are in the oven, make the sauce. 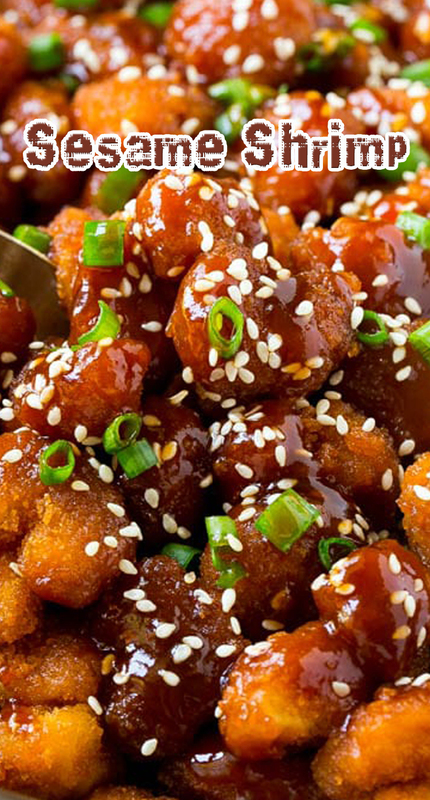 In a small saucepan, combine the soy sauce, ketchup, honey and sesame oil; bring to a simmer. Combine the cornstarch with 1/4 cup cold water, stir until smooth. Slowly pour the cornstarch mixture into the sauce, whisking constantly. Bring the sauce to a boil. Cook for 1 minute or until just thickened. Remove the shrimp from the oven. Drizzle the sauce over the shrimp and toss to coat evenly. Sprinkle the sesame seeds and green onions on top of the shrimp and serve.